Please understand that I am not going to even try to cover ALL the different interpretations, but rather focus on what I myself have concluded. But in order to do this it is needed that I discuss at least SOME of what others are teaching. In other words, when I read the works of others I KEEP whatever AGREES with the word of God and then I THROW ASIDE any teaching or any part of a teaching that does NOT AGREE with the whole word of God. With that being said let us begin this study in God word by reading Daniel 9:27 to consider the meaning of the phrase “In the MIDST of the WEEK”. So then, does the phrase “in the MIDST of the WEEK” mean without fail the EXACT middle of the week, which would be THREE and ONE HALF days EXACTLY? Or in Biblical prophecy does the term "midst" of the seven mean exactly 3 1/2 years, forty two months, or 1260 days to the day? Now for many of you, who have read other studies that I have written know that I like to keep this SIMPLE and uncomplicated using the CLEAR, PLAIN, and SIMPLE word of Almighty God that needs absolutely NO interpretation to understand what a verse is saying. And then interpret the unclear verses in the light of the clear, plain, and simple verse. So to try and say that the MIDST of the week means any thing other than the exact middle of the week would be to COMPLICATE the matter. Please understand that I am not dogmatically demanding that the MIDST of the week must without fail mean EXACTLY 3 ½ days, or prophetically 3 1/2 years, but rather that this is the SIMPLE meaning of the phrase. So let us assume for NOW that the MIDST of the week is EXACTLY 3 ½ days, or 3 1/2 prophetic years in this study in God's word seeing that the book of Revelation speaks of an EXACT 3 1/2 year period of time also shown as forty two months and 1260 days. I say prophetic years, because 1260 DAYS is not add up to a full 365 day solar year, but rather computes to a 360 day Biblical year. Now the Bible at times when referring to prophetic verses or verses speaking of judgment defines the use a single day to represent a full YEAR. Please read Numbers 14:34. Also please read Ezekiel 4:4-6. “Lie you also upon you left side, and lay the iniquity of the house of Israel upon it: according to the number of the DAYS that you shalt lie upon it you shalt bear their iniquity. 5. For I have laid upon you the YEARS of their iniquity, ACCORDING to the number of the DAYS, three hundred and ninety days: so shall you bear the iniquity of the house of Israel. Then we read Genesis where Jacob agreed to work one WEEK for the hand of Rachel in marriage, but Laban tricked Jacob and gave him his other daughter so Jacob had to work another WEEK for Rachel. And the each WEEK was actually SEVEN YEARS, but it was still yet called a WEEK or a SEVEN. So then, 3 ½ DAYS according to a single DAY being likened to a full YEAR would be 3 ½ YEARS. Thus a WEEK would be 3 ½ YEARS plus another 3 ½ YEARS to make a full SEVEN YEARS or ONE WEEK. And the MIDST of the WEEK would be a full 3 ½ years, as in, a Biblical year of 360 days. So then, 1260 days plus 1260 days equals one Biblical week. Now with the MIDST of the week being established as being a full 3 ½ Biblical YEARS let us now look at the whole prophecy of Daniel chapter 9 starting for now with verse 24 and reading to the end of the chapter in verse 27. “SEVENTY WEEKS (or actually seventy SEVENS, but for now we are going to use the interpretation of seventy WEEKS or seventy times seven YEARS, which is 490 YEARS) are determined upon your people AND upon your holy city, #1. to finish the transgression, and #2. to make an end of sins, and #3. to make reconciliation for iniquity, and #4. to bring in everlasting righteousness, and #5. to seal up the vision and #6. (to seal up or complete or fulfill) prophecy, and #7. to anoint the most Holy. 26. And AFTER threescore and two weeks (or AFTER 434 YEARS) shall Messiah be cut off, but NOT for himself: and the people of the prince that shall come shall destroy the city and the sanctuary; and the end thereof shall be with a flood, and unto the end of the war desolations are determined. We are going to work backward from verse 27, but first we will take a CLOSE look at WHO the MESSIAH is referring to in verse 26. Now most all Bible scholars AGREE that the MESSIAH in verse 26 is a PROPHECY of Jesus being CUT OFF, or CRUCIFIED, but NOT crucified for HIMSELF. In other words AFTER 69 weeks or 434 years Jesus the MESSIAH would be CRUCIFIED for the sins of the people and NOT for his own sins seeing that Jesus lived without sin. Then the “PEOPLE” OF the “prince” in the remaining part of this verse is speaking of yet ANOTHER prince that is yet to come, or a PROPHECY of another prince that should come AFTER the MESSIAH. Now some have INTERPRETED the “prince” in this verse as being Jesus ALSO at his SECOND coming where the PEOPLE OF the prince are the saints, who help execute the wrath of God upon Israel and the disobedient of the nations. But I myself am seeing this “prince” as being a DIFFERENT prince other than Jesus and the PEOPLE OF this prince as the followers of this different prince. I will explain why a little further on in this study, but for now I want you to notice that it is the PEOPLE OF that prince, who are the ones who shall destroy the city of Jerusalem and the sanctuary or the temple. In other words, the “prince” that shall come after Jesus will be leading many people to destroy the city of Jerusalem. Now we all know that the "prince" of darkness is Satan the god of the present world system. We know that Satan gives power to the beast. And we know the PEOPLE OF the beast system who Jesus will fight against when he returns. Please see the study "COULD ISLAM BE THE MARK OF THE BEAST?" for all the verses that point to Islamic Muslims who are making war against Israel as the PEOPLE OF the prince. So then, if you AGREE that the MESSIAH in the first half Daniel 9:26 or Daniel 9:26a is speaking of Jesus being CRUCIFIED, then you should not have too much trouble seeing that the FIRST half of Daniel 9:27, or Daniel 9:27a is ALSO speaking of Jesus the MESSIAH putting and END to the daily animal sacrifices by his ONE OBLATE perfect sacrifice that Jesus made ONCE and for all time. The word "oblate" means ONE offering HIMSELF to God, which is what Jesus did for us. Now please notice that the SECOND HALF of this verse is ALSO speaking of ANOTHER HE other than Jesus the MESSIAH. Let us rearrange verse 26 and verse 27 so you can see this much clearer when Daniel 26 “a” is put with Daniel 27 “a”, and Daniel 26 “b” is put with Daniel 27 “b” just for teaching purposes only in order to show TWO DIFFERENT people being spoken of in BOTH verses. The lower case “a” stands for the FIRST half of the verse and the lower case “b” represents the SECOND half of the verse. It is normally written without the quotation marks, but I want to make sure my readers know what I am doing and understand that it is for clarification only. It appears that these verses in Daniel are written as a “chiasm”, which is a poetic style of writing. Below is and example of this poetic style of writing that begins at one point and goes to the middle and then from the middle to the end by mirroring the first half. Now this chaism was written by another and if I was to write it myself, then "D" the middle section would only have verse 27 "a" and 27 "b" would go with the lower "C" section for a true mirror image of the first half. To say this another way all I am doing is putting the two parts of the “mirror” together for you for clarification so you can clearly see TWO different people in these verses and NOT just one prince. And also so that you can see more clearly who the pronouns "he" refer back to. Here is Daniel 26a plus Daniel 27a written together without the last part of these two verses so you can see more clearly that the first half of verse 26 goes with the HE is verse 27, which most Christians do not have any problems seeing without doing this, but do have trouble seeing the last part of these two verses going together. Now as I said most Christians are able to see that the Messiah being cut off, but NOT for HIMSELF is Jesus sacrificing HIMSELF for the people or the entire world and that the many are those who BELIEVE and so they can see that the HE in 27a can easily refer back to Messiah the Prince in 26a. But some Christians have a little trouble seeing interpretation #2. of 27a being that God confirmed a covenant with ISRAEL for seven years where the gospel was preached ONLY to Israel for the FIRST half of the week or for 3 1/2 years. And then, because Israel as a whole REJECTED God so great a gift of his SON offering himself as the one sacrifice for their sins, then God turned to the GENTILES to provoke Israel to jealousy. And during the time of the GENTILES God caused BLINDNESS in part to all of Israel UNTIL the time that he will turn again a SECOND time to minister to Israel during the last half of the week or the last 3 1/2 years, which is the time of GREAT tribulation or the time of JACOB'S trouble. To say this another way Jesus was cut off AFTER the 69th week, which is the very first day of the SEVENTIETH week where HE speaking of Jesus CONFIRMED a covenant with MANY. The many here since these verses in Daniel are speaking of God dealing with ISRAEL are speaking of the MANY of Israel who BELIEVED on the OBLATION of Jesus. Remember that the word "oblate" is a noun meaning one who offers his life to God and "oblation" in this context means the one sacrifice of Jesus offering himself to God for the sins of the people. Also remember that the church was given instructions by Jesus to ONLY preach the gospel of salvation to the JEWS. In fact it came as a surprise to the Jews that God filled the Gentiles with the Holy Spirit. In other words, the FIRST half of teh SEVENTIETH week has ALREADY been fulfilled by the church preaching the gospel to the Jews ONLY for 3 1/2 years and THEN God caused BLINDNESS in part UNTIL the end of days where the LAST 3 1/2 years is described in detail in the book of Revelation, which we ALL agree is speaking of the GREAT tribulation. I myself have seen for a long time that the NEW Testament itself only speaks of a 3 1/2 year period of time that Jesus calls the time of GREAT tribulation in Matthew 24. But for some reason most every prophecy teacher has interpreted the WHOLE seventieth week of Daniel as the time of great tribulation. BUT to be fair they do divide the seventieth week in half where they call the first 3 1/2 years as the beginning of sorrows and the last 3 1/2 years as the time of great tribulation or Jacob's time of trouble. To ME there is just one verse that even hints that the first half could be called the beginning of sorrows, which is Matthew 24:8. However when I read this verse in context I myself see that the beginning of sorrows BEGAN with the FIRST persecuted disciple of Jesus and has continued all through the history of the church. I mean I myself find it very difficult to dogmatically demand that the beginning of sorrows is ONLY reserved for the 3 1/2 years immediately before the abomination of desolation, which begins the final half of the SEVENTIETH week of Daniel where God will turn his attention to Israel a SECOND time right before the SECOND coming of Jesus. So to ME I do NOT see the "he" confirming a covenant with many refers to the prince of darkness making a so called "peace" treaty with Israel for seven years and then breaks that peace treaty in the middle of that seven years. For this INTERPRETATION to take place Israel must rebuild the temple and restore the animal sacrifice on the temple mount, which is at this present time basically share with the Muslims. First of all Jesus is prophesied to build the temple of God, which I believe is the temple NOT made with HANDS. Secondly I find it hard to accept that God would even allow a temple made with hands to be built in his name where animal sacrifices are made seeing that this would be a slap in the face of HIS one sacrifice of giving us his SON as the once and for all time sacrifice for sins. And thirdly the time element along with where is the prophecy for a third temple let alone a FULL SEVEN years at the end of the age? I mean search the entire NEW Testament and see if you can find SEVEN years of great tribulation. This is one of the reason why I myself have taken a CLOSER look at the seventieth week of Daniel. I can only find a 3 1/2 year period so for this reason I have looked to see if the FIRST 3 1/2 years has already been fulfilled. Now let us do the same thing with that LAST HALF of these two verses as we have done with the first half of Daniel 9:26,27. 26b. “...and the people of the prince that shall come shall destroy the city and the sanctuary; and the END thereof shall be with a flood, and unto the END of the war desolations (PLURAL) are determined. In other words, DESOLATION is determined to be poured out on the ONE, who is making Jerusalem DESOLATE. You can COMPARE the different translations yourself. Also we KNOW that Jesus the MESSIAH is not going to be made desolate. So then, the DESOLATOR who is prophesied yet to come is the coming prince of DARKNESS, the ANTICHRIST that is given his power by Satan. Also please know and understand the PLURAL of more than just one desolation of the city of Jerusalem is determined, which consequently means more that just one antichrist being led by the prince of darkness. What I mean by this is that according to some Christians, who wrongly teach that this prophecy of the seventieth week of Daniel has been completely fulfilled in 70 AD with the destruction of Jerusalem cannot be true, because of the PLURAL of more than one desolation on the city of Jerusalem. Thus according to the Preterist interpretation there is no yet future antichrist prince who will AGAIN make Jerusalem desolate. Please see the studies I have on "WHY PRETERISM IS A FALSE TEACHING!" So then, in order to be in agreement with what the word of God is actually saying we should be seeing no less than TWO times that Jerusalem is destroyed, which would then in turn mean TWO groups of people OF the prince. Now the "prince" is singular, so to ME this speaks of the prince of darkness, which is Satan, the Devil, the god of this present world, who gave power to the first group of people, who destroyed Jerusalem in 70 AD and who will yet give power to the group of people that will follow a man we as Christians call the antichrist in the not too distant future. To me I myself see this "end of days" antichrist being of a Syrian descent and his religion will be Islam. The PEOPLE OF this prince yet to come will be Muslim Islamic extremists, who will make all out war against Israel during the final 3 1/2 years of this present world right before Jesus returns. He may or may not be a literal prince, but he will be a man, who is given his power from the prince of darkness, that old dragon called Satan and the Devil. You see a human prince could not still be alive from 70 AD to a time yet still in the future nearly 2000 years later. So to ME the prince is the prince of darkness or Satan, and the people OF the prince are the wicked people who hate Israel and seek to destroy God's people both the Christians and the Jews. Now those who teach the pre tribulation and mid tribulation rapture of the church INTERPRET the "he" in verse 27a as being the "antichist", who is supposedly going to make a "peace treaty" or covenant agreement of peace with Israel for seven years and then in the middle of that yet future seven years he will break that covenant or peace treaty and make all out war with Israel, which will BEGIN the final 3 1/2 years called the GREAT tribulation. This MAY of may NOT happen the way many pre and mid tribulation prophecy teachers are claiming, so this is why I teach my readers to be OPEN to other interpretations. I mean if you are only looking for a PEACE treaty you may miss the WAR at being a SIGN that the coming of Jesus is drawing near. I myself have difficulty seeing a NEW Temple being built in Jerusalem and the animal sacrifices being restored, which is a must according to those who teach any kind of PRE or MID tribulation rapture of the church. Now I myself am seeing that Jesus and the church having fulfilled the FIRST HALF of the seventieth week of Daniel or the first 3 1/2 years of the seventieth week of Daniel. You may not see this yet and that is alright with me, but many other Christians such as myself see only a 3 1/2 year great tribulation spoken of in the book of Revelation. And to US it does not make sense for God to leave OUT the first 3 1/2 weeks of this seventieth week of Daniel from the book of Revelation if it were not already fulfilled. To say this another way, why would God NOT included anything about the first three and one half years IN the Book of Revelation if so be that it has not already fulfilled and the whole seven years or the whole seventieth week of Daniel is yet to be fulfilled in the future? In other words, why did Almighty God give us so much detail about the final 3 1/2 years of this seventieth week IN the book of Revelation and NOT a single word about the FIRST 3 1/2 years? This is why I myself and many other Christians are taking a CLOSER look at Daniel 27 for ourselves seeing that what we have been taught by many prophecy teachers does not line up completely with what God is showing US. Also when we read OTHER translations of Daniel 9:27 we see the first half of the seventieth week being fulfilled by Jesus and the early church preaching the gospel of salvation to ONLY Israel at first and then God cause blindness in part to come upon Israel only while God turned to the GENTILES. Here are some of those translations, which makes it clearer that Jesus is the one who CONFIRMS the covenant with MANY, where again the many hear is speaking of the Jews who BELIEVED the preaching of he early church before God turned to the Gentiles. Now most every Bible scholar does indeed agree that there are TWO DIFFERENT people being spoken of in these two verses, Daniel 9:26, and Daniel 9:27, but in all the studies that I myself have researched seem to have gone too far either one way or the other in their deciding what ACTIONS go with which person. So let us put it all together the way that I myself am seeing it to see if you see the same thing. Remember to hear the WHOLE matter before you make judgment. Christians tend to just throw any thing new and different right out the window as false teaching simply because their particular DENOMINATION does not teach it that way. This is NOT a matter of salvation on HOW you believe the seventy weeks of Daniel are interpreted, but rather we are doing our best to truly understand how ALL the scriptures fit together WITHOUT having any CONTRADICTIONS. Here is Daniel 9:26,27 from "MARK'S" Version, or my own version, where I put the first half of each of these two verses together as ONE verse and then I put the LAST half of each verse together as ONE verse. In other words, it makes more sense that the ACTIONS in the first half of verse 27 are the actions of the "he" in the first half of verse 26, AND that the ACTIONS in the last half of verse 27 go with the different "he" in the last half of verse 26. Please remember that the writers of the books of the Bible often wrote in "poetic" style of writing so my justification for doing this in the "chiasm" poetic style of writing used elsewhere in the Bible. And please remember that this is JUST for TEACHING purposes so that you can see easier what I myself am seeing. Also please understand that I am NOT changing what the Bible itself is saying and that this is an INTERPRETATION. Again I am NOT dogmatic about the first half of the seventieth week being already fulfilled by Jesus and the church, but rather it make more sense to ME seeing that I myself cannot find a FULL seven years of great tribulation IN the book of REVELATION. And we know that Jesus will destroy the son of perdition, the Wicked one, or the antichrist at his coming according to 2 Thessalonians chapter 2 teaches us. Now the reason that I have taken a CLOSER look at the many different interpretations of the seventy weeks of Daniel and more particularly to the SEVENTIETH week is that many of these INTERPRETATIONS are saying that there is going to be a SEVEN YEAR great tribulation in the end of days. However, every where that I read in the book of REVELATION I can only see THREE and ONE HALF years of great tribulation at the end of days and NOT a FULL SEVEN years as many prophecy teachers seem to dogmatically demand. And when I ask questions they simple say that I am the one who does NOT UNDERSTAND the prophecy of Daniels seventy weeks and how the SEVENTIETH WEEK or the last 7 years has not yet been fulfilled. So I decided it was finally time to do my OWN research to see if any one else was seeing what I was seeing about the great tribulation being 3 ½ years as opposed to a full 7 years. In my research I came across an INTERPRETATION by the 7th Day Adventist, which again I do NOT AGREE with their WHOLE interpretation, but I did find it very interesting that they as well see that Jesus himself fulfilled the FIRST 3 ½ years of the ONE week in Daniel 9:27 when Jesus was cut off or CRUCIFIED in the MIDST of the week. However, they go on to INTERPRET that the early church FULFILLED the REMAINING half of this ONE week ALSO and therefore ACCORDING to the 7th Day Adventist interpretation then ALL has already been fulfilled so there is not going to be any yet future period of great tribulation. This is called full preterism, which I myself do NOT find to be a SOUND Biblical teaching, because it goes TOO FAR to the extreme trying to make everything Jesus said in Matthew 24 as ALREADY being fulfilled in 70 ad. Let me give you a quote from a 7th Day Adventist website and their time line first and then we will go to the word of TRUTH, the Holy Bible, to show you the ERRORS in PART of what they teach on the seventy weeks of Daniel. The emphasis and comment are mine. Yes, three things are listed,(Actually I myself count SEVEN things) but when Christ arrives and is “anointed” that coincides with Him becoming Messiah to “make an end of sins.” So, we are to focus on two things. That being the “holy city” and “Messiah who makes an end of sin.” Daniel then goes into detail outlining these two factors. The command to rebuild Jerusalem was in 457BC. Daniel 9:25 says it took 7 weeks (49 years) to rebuild. This brings us to 408BC. Now with this much I do agree except I myself see SEVEN things rather than just THREE things as this particular 7th Day Adventist writes, but which I edited using the number symbol "#". In all fairness I have read from other 7th Day Adventist websites and many of them are teaching about SIX things as well and some do indeed teach SEVEN things. I believe that it is important to see SEVEN things, because ALL seven must be fulfilled and if some only see three things, then wrong assumptions may be concluded resulting in false teaching. Anyway I agree that the FIRST 3 1/2 years of Daniels seventieth week has indeed been fulfilled. BUT I do NOT believe that Jesus FULFILLED the FIRST 3 ½ years of this ONE week or this ONE seven year period. Rather I believe that Jesus CONFIRMED the COVENANT and the CHURCH fulfilled the first 3 1/2 years of Daniel's seventieth week by the preaching of the gospel to the JEWS ONLY, which is when God caused the OBLATION of the SACRIFICE of Jesus to be temporary BLINDED to Israel in PART during the time of the GENTILES. This was the middle to the seventieth week of Daniel, when God turned to the Gentiles partially blinding the eyes of Israel to be able to see the oblation and sacrifice of Jesus. In other words, the oblation and sacrifice of Jesus has CEASED for Israel in part during the time of the Gentiles. And God will not continue the last 3 1/2 years of this seventieth week until the abomination of desolation takes place at the end of days when the Islamic Muslim armies surround Jerusalem seeking to kill every last Jew on the earth. I do NOT AGREE with the chart or time line below from this 7th Day Adventist website where the LAST 3 ½ years of this SEVENTIETH week of Daniel is ALSO fulfilled with absolutely NO future fulfillment of any kind concerning the seventy weeks of Daniel. So once again the PART that I myself do NOT AGREE with in the above chart or time line is the LAST half of the SEVENTIETH week of Daniel being FULFILLED, as in, there is NO yet FUTURE fulfilling of the last 3 ½ years in the END of days right before Jesus comes again at his SECOND coming. And I also do NOT agree that Jesus fulfilled the first 3 1/2 years, but rather the church fulfilled the first 3 1/2 years of the seventieth week of Daniel. In other words, the 7th Day Adventist and some other church denominations as well claim that the ENTIRE seventieth week of Daniel has ALREADY been FULFILLED and that there is NOT going to be ANY great tribulation in the future, because according the THEM Matthew 24 and the seventieth week of Daniel have ALREADY been FULFILLED. This is called “PRETERISM” where all of Matthew 24 and the seventy weeks of Daniel have already been fulfilled. So therefore to me or the way I understand the “preterist” view of the 7th Day Adventist is that they are saying that their will be absolutely NO period of GREAT tribulation right before the SECOND coming of Jesus, which they themselves teach that the second coming of Jesus not been fulfilled. But the Bible ITSELF in Matthew 24 clearly and plainly teaches us that the second coming occurs IMMEDIATELY after the time of great tribulation, which supposedly has already been fulfilled according to the 7th Day Adventist and other preterists and yet the second coming still yet be FUTURE even to full preterism? You see dear child of God, according to the 7th Day Adventist and other church denominations as well claim that the STONING of Stephen marks the END of the seventieth week of Daniel and consequently according the Jesus the END of the time of great tribulation, which they do not address. Then they go one to say that the destruction of the temple in Jerusalem that Jesus himself prophesied in Matthew 24 was fulfilled in 70 AD so therefore the time of GREAT tribulation has ALREADY been FULFILLED. But this CONTRADICTS the words of Jesus himself clearly written in simplicity in Matthew 24:29-31 where Jesus plainly states as fact with absolutely NO interpretation needed to understand the very simple words IMMEDIATELY AFTER the tribulation of those days, which Jesus describes in verse 21 as being such as never before nor ever shall be again. So how can the word IMMEDIATELY mean 2000 years later that the SECOND coming of Jesus would occur when Jesus himself said IMMEDIATELY after the great tribulation. Now some teach that Jesus has already come INVISIBLY and that there is no LITERAL 1000 year reign of Jesus, but those false teachings I cover in other studies. So then, it is the last PART of their INTERPRETATION or the last half of the seventieth week or the last half of the 3 1/2 years of great tribulation being already fulfilled with which I strongly DISAGREE. And here is again WHY their interpretation of the last 3 1/2 years already being fulfilled is NOT a sound Biblical teaching! Please read Matthew 24: 29-31, which CLEARLY and PLAINLY in SIMPLICITY STATES that IMMEDIATELY AFTER this time of great tribulation when we shall SEE the ABOMINATION of DESOLATION spoken of BY Daniel the prophet, then those who are in Judea are to flee to the mountains. So CLEARLY the word of TRUTH plainly teaches us in SIMPLICITY that IMMEDIATELY AFTER this last 3 ½ years of the seventieth week of Daniel that EVERY EYE shall SEE Jesus COMING in great clouds of glory, so to ME the LAST three and one half years of the SEVENTIETH week of Daniel has NOT already been FULFILLED as the 7th Day Adventist and some other church denominations FALSELY teach. What the “PRETERIST” do not realize is that at times some verses and passages of scripture have a DUAL fulfillment, one fulfillment in HISTORY and one fulfillment yet in the FUTURE. Again a “preterist” is one who believe and teaches that ALL of the prophecies of Daniel and Jesus have ALREADY been FULFILLED. Now to be fair to both sides of the argument the “FUTURIST” seem to say that NONE of the seventieth week of Daniel has been fulfilled and therefore they falsely teach that the time of great tribulation is a full SEVEN years as opposed to 3 ½ years as out lined in the book of Revelation. But you see dear child of God, to ME I myself cannot find a full seven years of great tribulation being described IN the book of Revelation. Now actually the “futurist” or many of the “pre millennium” teachers say that the seventieth week is DIVIDED into TWO 3 1/2 year periods where the FIRST 3 ½ years is called “Jacob's time of trouble” and the last 3 1/2 years is called the great tribulation. Some say that the first 3 1/2 years is the beginning of sorrows and the last 3 1/2 years are the great tribulation. But no matter how they label the first and last half of the seventieth week of Daniel most all futurist hold fast to their interpretation that the FULL SEVEN years remains to be fulfilled. But WHERE is the FIRST half IN the book of REVELATION? Let us take a moment and look at some verses in Revelation that teach us of a 3 ½ year period of tribulation rather than a full seven years divided into two three and a half year periods. Please read Revelation 11:2,3 which gives us TWO measurements of time that are the same length of time being a 3 1/2 year period of time. “ But the court which is without the temple leave out, and measure it not; for it is given unto the Gentiles: and the HOLY CITY shall THEY tread under foot (or make DESOLATE for) FORTY and TWO months. Now FORTY TWO months is 3 1/2 years no matter how many days in a MONTH. And the 1260 is also 3 1/2 years based on the 30 day per month prophetic calendar. If you divide 1260 days by 30 days you will get the SAME FORTY TWO months that the Gentile MUSLIM ISLAMIC ARMIES will make Jerusalem desolate during a WAR with Israel and all NON Muslim people for that matter over in the middle east. In other words, the Muslims will start by killing Christians and Jews, but toward the end the Muslims will SEEK to kill ALL non Muslims in that area of the word, because this is what the Quran teaches them. So it will not be save for any non Muslim in the area of Judea and this is why Jesus teaches us to FLEE Judea when we see Jerusalem surrounded by armies seeking to make her desolate. See Luke 21:20 or read the study "WHAT IS THE ABOMINATION OF DESOLATION?" The Bible also speaks of a TIME, TIMES and a HALF of TIME, which can be interpreted as 3 1/2 years as well, but NOT as a full SEVEN years as some falsely teach. So then getting back to the SEVENTIETH week of Daniel I myself see the FIRST 3 1/2 years of this seventieth week being already fulfilled by Jesus the Messiah, who was cut off or crucified in 31 AD for the sins of the people and not for himself, and who then taught his disciples the church to preach the gospel to the JEWS first. Thus Jesus confirmed the covenant and the church preached the NEW covenant to the Jews ONLY for the first half of the seventieth week of Daniel. But the LAST half of the seventieth week of Daniel I do NOT see as being fulfilled already, IN THAT, there is no FUTURE fulfillment that is yet to be fulfilled as claimed by those who teach preterism. In other words, I myself lean toward there being a DUAL fulfillment of the LAST half of the seventieth week of Daniel or the last 3 1/2 years, which will be the time of great tribulation spoken of by Jesus in Matthew 24 and the book of Revelation. The destruction of Jerusalem in 70 AD was the first fulfillment in history and yet another fulfillment of the destruction of Jerusalem remains in the future. Let us now take a look at the 7th Day Adventist interpretation of the last half of the seventieth week of Daniel having ALREADY been fulfilled. Here is a quote for a 7th Day Adventist website. Again the emphasis and comments are mine. Getting back to the 70 weeks. Here we see that in the middle of the 70th week something is to occur. Prophecy is stating that the Messiah shall be "cut off." It also states that when this occurs, it will, "cause the sacrifice and the oblation to cease." The middle of the week means 3.5 years. (7 years divided by 2) By adding 3.5 years to the autumn of 27 AD, we come to the Spring of 31AD. What happened in the Spring of 31AD? Daniel 9:27, "And he shall confirm the covenant with many for one week:"
The "covenant with many" is what actually happened when Jesus Christ sealed the covenant when He shed His blood on that cross and died. He died for all those that sinned even though He Himself knew no sin. 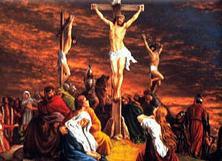 He did this for the salvation of all those that would ACCEPT His sacrifice for the remission of sins. Daniel 9:26-27, "And after threescore and two weeks shall Messiah be cut off, but not for himself:... And he shall confirm the covenant with many for one week: and in the midst of the week he shall cause the sacrifice and the oblation to cease..."
Matthew 26:27-28, "And he took the cup, and gave thanks, and gave it to them, saying, Drink ye all of it; For this is my blood of the new testament, which is shed for many for the remission of sins." In the middle of the week of Daniel we see that Jesus Christ prophetically accurately hug on the cross but 'NOT FOR HIMSELF." He died for the sins of you and me. He was sinless and a perfect sacrifice for sin. Just like of old when the Jewish nation brought forth a lamb to be slaughtered for their sins, it could NOT have any "blemish" upon it (see Exodus 12:5) because the Lord to come would not have any sin in Him. To further confirm that this occurred. At the very moment "The Lamb of God who taketh away the sins of the world" died on that cross. The temple veil ripped from top to bottom therefore signifying that the "lamb sacrifice" for sins of the nation of Israel was at an END! The "oblation ceased!" Matthew 27:50-51, "Jesus, when he had cried again with a loud voice, yielded up the ghost. And, behold, the veil of the temple was rent in twain from the top to the bottom; and the earth did quake, and the rocks rent;"
Again I agree with THIS PART of the FIRST 3 1/2 years of the seventieth week of Daniel having already been fulfilled by Jesus confirming the covenant when our Lord and savior was CUT OFF or crucified, AND by the preaching of the gospel for 3 1/2 year ONLY to ISRAEL before God turned to the Gentiles and caused blindness in part to Israel and thus for them seeing the oblation and sacrifice of Jesus CEASED. And I also agree that 31 AD is the BEST possible year, but at the same time I do not dogmatically demand that 31 AD MUST without fail be the exact year Jesus was crucified. I am open to other years from 30 AD to 33 AD, but again there is much evidence to support the crucifixion of Jesus to be in 31 AD. BUT there are TWO dates in history to start the seventy weeks. First we will look at the date chosen by the 7th Day Adventist and other Christians, which places the MIDDLE of the week at the BAPTISM of Jesus, and then we will take a look at the date which places that START of the seventieth week at the CROSS. If the ministry of Jesus is 3 ½ years and Jesus BEGAN his ministry at the age of 30 and Jesus was ANOINTED in the FALL of 27 AD, then this will put the EXACT middle of the seventieth week at the CRUCIFIXION of Jesus is the SPRING of 31 AD. Please read the study “WHAT YEAR WAS JESUS CRUCIFIED?” for all the SOUND Biblical and HISTORICAL evidence, which shows that 31 AD is the BEST possible year that FITS ALL the evidence for the exact year of the crucifixion of Jesus being CUT OFF for the sins of the people and not for himself. Now let us continue look at what the 7th Day Adventist teach about the LAST 3 1/2 years or as to WHEN the END of the seventieth week of Daniel according to them has ALREADY been fulfilled. And as always the emphasis and comments are mine. “When did the "week of Daniel" end? 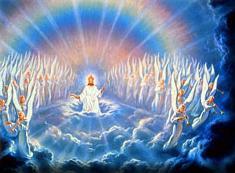 A cts 7:56-58, "And said, Behold, I see the heavens opened, and the Son of man standing on the right hand of God. Then they cried out with a loud voice, and stopped their ears, and ran upon him with one accord, And cast him out of the city, and stoned him: and the witnesses laid down their clothes at a young man's feet, whose name was Saul." In the Autumn of the year 34AD, the Jewish people openly rejected the Gospel message. They made an open declaration of that rejection by the stoning of Stephen. A stoning that was wholly approved by the leaders of Israel. Sad historic fact is, Stephan is the first Christian martyr killed by the hands of the Jewish nation itself. Acts 13:45-46, "But when the Jews saw the multitudes, they were filled with envy, and spake against those things which were spoken by Paul, contradicting and blaspheming. Then Paul and Barnabas waxed bold, and said, It was necessary that the word of God should first have been spoken to you: but seeing ye put it from you, and judge yourselves unworthy of everlasting life, lo, we turn to the Gentiles." Sadly, the prophecy also speaks of a tragic event. Daniel 9:26-27, "And after threescore and two weeks shall Messiah be cut off, but not for himself: and the people of the prince that shall come shall destroy the city and the sanctuary; and the end thereof shall be with a flood, and unto the end of the war desolations are determined. And he shall confirm the covenant with many for one week: and in the midst of the week he shall cause the sacrifice and the oblation to cease, and for the overspreading of abominations he shall make it desolate, even until the consummation, and that determined shall be poured upon the desolate." 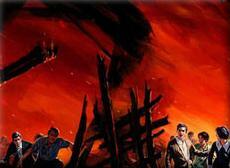 Was Jerusalem destroyed after the Jewish nation rejected the Gospel message? First of all I would like to point out that the destruction of Jerusalem in from 66 AD to 70 AD is OUTSIDE or PAST the seventy weeks of Daniel. So then, IF SO BE, the the year 34 AD supposedly ENDED the seventy weeks of Daniel as taught by the 7th Day Adventist and other church denominations like the reformed church of God how do they make this work to AGREE with scripture? In other words, the destruction of Jerusalem was INCLUDED WITHIN The SEVENTY WEEKS prophesied to FULFILL SEVEN things concerning the people of Israel AND the holy CITY or Jerusalem, BUT 66 AD to 70 AD is NOT within the last half of the seventieth week seeing they they claim the seventieth week ENDED in 34 AD with the stoning of Stephen. This is why I myself do NOT teach that Jesus fulfilled the first 3 1/2 years of the seventieth week of Daniel, but rather teach that the CHURCH fulfilled the first half of the seventieth week by the preaching of the gospel to Israel ONLY for the first 3 1/2 years of the seventieth week of Daniel. And THEN when the Jews openly reject the gospel NOT believing in the OBLATION of Jesus offering himself as the ONE sacrifice to end the animal sacrifices is when God caused blindness in part to be upon ISRAEL during the time of the Gentiles. Remember when I pointed out that the word translated as “desolate” in the King James Bible actually means the ONE who MAKES desolate or the DESOLATOR, which is the antichrist, who has NOT been destroyed as yet. You see my dear brothers and sisters in our Lord Jesus Christ, the Bible teaches us that Jesus HIMSELF will destroy that wicked one when Jesus comes again at his SECOND coming. And to ME there is absolutely no doubt whatsoever that Jesus has NOT ALREADY come again to destroy the wicked and to begin his 1000 year reign where the instruments of war will be turned into farm equipment and Jesus will teach all nation to NOT learn WAR anymore. Has this happened yet? Of course it has not happened yet. So therefore there is still yet a future fulfillment of the LAST half of the seventieth week of Daniel. Now I know that the Jehovah's Witnesses falsely teach that Jesus has already returned INVISIBLY in 1874 AD and the 7th Day Adventist falsely teach that the END of the 2300 day prophecy of Daniel ended in 1844 AD. Only a 30 year difference, but Russel Taze the founder of the Jehovah's Witnesses made several predictions, which all turned out to be false prophecies. Once again, in my mind there is still yet WAR and rumors or even more WARS. So therefore it is IMPOSSIBLE for Jesus to have ALREADY returned invisibly, as some FALSELY teach, because the word of TRUTH, the Holy Bible, teaches us that Jesus will destroy the weapons of war turning them into farm implements and he will teach the people to NOT learn war any more. And CLEARLY this has NOT happened as YET and therefore the second half of the seventieth week of Daniel or the last 3 1/3 years is yet FUTURE. With that being said let us now go back to the beginning of this prophecy in Daniel describing the SEVENTY WEEKS. Please read Daniel 9:24-27 where I put my understanding of verse 26 and verse 27 in place of the way these two verse normally read. “Seventy weeks (or 490 total years) are determined upon your people AND upon your holy CITY,(speaking of Jerusalem) #1. to FINISH the transgression, and #2. to make an END of sins, and #3. to make reconciliation for iniquity, and #4. to bring in EVERLASTING righteousness, and #5. to seal up (or the END or COMPLETE) the vision and #6. prophecy, and #7. to ANOINT the most Holy. 26b. “...and the people of the prince that shall come (speaking of the ANTICHRIST who shall come AFTER the first coming of Jesus, which I myself see as being Muhammad who began ISLAM that received a womb unto death and now has revived in these last days to have a sole agenda to conquer the entire world. ) shall destroy the city and the sanctuary; and the end thereof (speaking of the destruction of Israel and the city of Jerusalem BY the ISLAMIC MUSLIM ARMIES) shall be with a flood (the term flood in Bible prophecy means a great ARMY making WAR), and unto the end of the WAR desolations are determined. You see, I myself never really could see how a supposed “PIG” being placed in the temple could cause the desolation of the city and temple of Jerusalem. Anyway, my main point is that we have SEVEN things that MUST be COMPLETELY fulfilled DURING or WITHIN the SEVENTY WEEKS of 490 years. And remember according to their OWN teaching the 7th Day Adventist point out that HISTORY clearly shows the destruction of Jerusalem in 66 AD through 70 AD, which is well AFTER or completely OUTSIDE their own ENDING of the seventy weeks having ENDED in 34 AD. Let us take a close look at the seven things that MUST be fulfilled WITHIN the seventy weeks of Daniel. #7. to ANOINT the most Holy. So then, with the exception of number 3 all the other things have only been PARTIALLY fulfilled and therefore there is still yet need of a FUTURE fulfillment of of the LAST 3 ½ years of the SEVENTIETH week of Daniel. I say "partially" fulfilled, because TRUE everlasting righteousness has not been fulfilled. Jesus was anointed King from the foundation of the world, but his TRUE FULL anointing as King will not be fulfilled until his second coming which will END the last half of the Seventieth week of Daniel. Now while it is true that Jesus finished the transgression and made and end to the sins of his people Israel, it is also true that NOT ALL Israel has accepted Jesus as their MESSIAH. Jesus confirmed the covenant with many of Israel and many of Israel did indeed accept the covenant during the FIRST half of the seventieth week. And I believe a great many will accept Jesus as their Messiah DURING the time of great tribulation, the last half of the seventieth week of Daniel. You see, my dear brothers and sisters in our Lord Jesus Christ, God is going to turn BACK to Israel at the SECOND COMING of Jesus. And a REMNANT of Israel shall call upon the Lord to be saved alive to go into the Millennium in the mortal bodies to be taught of the Lord along with those LEFT of the nations who call upon the name of the Lord in that day. It will be ONLY the faithful Christians, who are found to be that good and faithful servant, who will inherit eternal life at the SECOND coming of Jesus. But before the second coming of Jesus I believe the eyes of understanding of many Jews will be OPENED to see the oblation of Jesus sacrificing himself for their sins and they will be saved and go into the 1000 year reign of Jesus is new IMMORTAL bodies like all the Gentile Christians. Also everlasting righteousness has not yet been brought in to full. This shall be being fulfilled during the 1000 year reign of Jesus and completely fulfilled after the final day of judgment after the 1000 years. For you see there shall be SOME at the end of the 1000 year reign of Righteousness, who will be DECEIVED by the enemy Satan when he is loosed for a little season to deceive the nations to once again make WAR with God and his people. So the actual COMPLETE fulfillment will not be until ALL wickedness is destroyed in the lake of fire on the final day of judgment at the END of the 1000 year reign of Jesus when the final part of God's wrath shall be poured out. Please read the studies that I have on the second coming of Jesus. Jesus was indeed ANOINTED to preach the gospel and the acceptable year of the Lord, but Jesus has not received his Father's kingdom to rule and reign for a 1000 years. NOR has Jesus poured out the WRATH of Almighty God the Father as yet. Also once again please know and understand that yet another WAR will take place at the END of this 1000 year reign of Jesus, which will be the FINAL war, because ALL the wicked shall be destroyed never to rise again and ONLY RIGHTEOUSNESS shall remain. So then, NOT ALL PROPHECY has been fulfilled. Remember that Daniel had more than this one vision and that he gave several prophecies some of which that tie into the seventy weeks of Daniel have not been completely fulfilled as yet. With that being said let us now take a look at WHEN the going forth of the commandment was given so that we can COUNT the YEARS to see if they agree with the year 27 AD being the year that Jesus was ANOINTED and 31 AD as the year Jesus the Messiah was CUT OFF or crucified for the sins of the people and not for himself. There are actually FOUR dates in history that a decree went forth, but for now we will just look at ONE and then further on in this study we will look at a SECOND date that some have chosen over the date of 457 BC. Now depending on which source you research the date 457 BC is established as the year that king Artaxerxes gave the command or the decree to restore or rebuild the house or temple of God in Jerusalem. Here is the way that the 7th day Adventist explain the 69 weeks or the 483 years from the commandment or the decree to the ANOINTING of the Messiah based upon the year 457 BC as being the EXACT year of the decree that they have conclude. I say exact year that THEY have conclude, because others have concluded the year 456 BC as being the EXACT year of the decree. More on this matter of difference of opinion or interpretation further on in this study in God's word. For now we are focusing on what the 7th Day Adventist church teaches. “Daniel 9:25, "Know therefore and understand, that from the going forth of the commandment to restore and to build Jerusalem..."
The angel also tells Daniel WHEN to start the prophetic period of time. Daniel will know that it will begin the very moment a king declares it is time for the people of Israel to go forth to build Jerusalem. When was this command given? Ezra 7:8,11,13,20 "...in the SEVENTH year of the king. ...this is the copy of the letter that the king Artaxerxes gave unto Ezra the priest, the scribe... I make a decree, that all they of the people of Israel, and of his priests and Levites, in my realm, which are minded of their own freewill to go up to Jerusalem, go with thee. And whatsoever more shall be needful for the house of thy God, which thou shalt have occasion to bestow, bestow it out of the king's treasure house." In the SEVENTH year of king Artaxerxes' reign, he made a decree unto the people of Israel to go forth and rebuild the temple. The SEVENTH year of this king was in FACT 457 BC. Daniel 9:25, "Know therefore and understand, that from the going forth of the commandment to restore and to build Jerusalem unto the Messiah the Prince shall be seven weeks, and threescore and two weeks: the street shall be built again, and the wall, even in troublous times." Now if you subtract 457 years from 483 you get 26 years, but we need to add 1 year, because there is no year ZERO. The calendar goes from 1 BC to 1 AD and thus looses a year. So then, 26 years plus 1 year comes to the year 27 BC the year that Jesus was ANOINTED as the CHRIST by Almighty God the Father at the baptism of Jesus. Again please read the study “WHAT YEAR WAS JESUS CRUCIFIED?” for all the sound Biblical evidence that supports the year 27 AD for the baptism of Jesus. If you remember early on in this study I said that there were FOUR decrees given, but we will only look at TWO of these dates? Well I thought I would go ahead and give you the scriptures for all FOUR decrees so you can follow up and do a deeper study if you so desire. In the books of Ezra and Nehemiah, we find FOUR royal commands issued by the Median and Persian kings that could possibly qualify as the "commandment to restore and to build Jerusalem." 2. Thus said Cyrus king of Persia, The LORD God of heaven has given me all the kingdoms of the earth; and HE has charged me to build him an HOUSE at Jerusalem, which is in Judah. 4. And whosoever remains in any place where he sojourns, let the men of his place help him with silver, and with gold, and with goods, and with beasts, beside the freewill offering for the HOUSE of God that is in Jerusalem. “Give you now commandment to cause these men to CEASE, AND that this CITY be not built, UNTIL ANOTHER commandment shall be given from ME (king Artaxerxes). “ Then Darius the king made a DECREE, and search was made in the house of the rolls, where the treasures were laid up in Babylon. 8. Moreover I make a decree what you shall do to the elders of these Jews for the building of this house of God: that of the king's goods, even of the tribute beyond the river, forthwith expenses be given unto these men, that they be not hindered. 10 . That they may offer sacrifices of sweet savors unto the God of heaven, and pray for the life of the king, and of his sons. “ And there went up some of the children of Israel, and of the priests, and the Levites, and the singers, and the porters, and the Nethinims, unto Jerusalem, in the SEVENTH year of Artaxerxes the king. 13. I make a DECREE, that all they of the people of Israel, and of his priests and Levites, in my realm, which are minded of their own freewill to go up to Jerusalem, go with you. 17. That you may buy speedily with this money bullocks, rams, lambs, with their meat offerings and their drink offerings, and offer them upon the altar of the HOUSE of your God which is in Jerusalem. 18. And whatsoever shall seem good to you, and to your brethren, to do with the rest of the silver and the gold, that do after the will of your God. 19. The vessels also that are given you for the service of the house of your God, those deliver you before the God of Jerusalem. 20. And whatsoever more shall be needful for the house of your God, which you shall have occasion to bestow, bestow it out of the king's treasure house. 25. And you, Ezra, after the wisdom of your God, that is in your hand, set magistrates and judges, which may judge all the people that are beyond the river, all such as know the laws of your God; and teach you them that know them not. 26. And whosoever will not do the law of your God, and the law of the king, let judgment be executed speedily upon him, whether it be unto death, or to banishment, or to confiscation of goods, or to imprisonment. “ And it came to pass in the month Nisan, in the TWENTIETH year of Artaxerxes the king, that wine was before him: and I took up the wine, and gave it unto the king. Now I had not been before time sad in his presence. 3. And said unto the king, Let the king live for ever: why should not my countenance be sad, when the CITY, the PLACE of my fathers' sepulchers, lay waste, and the GATES thereof are consumed with fire? 4. Then the king said unto me, For what do you make request? So I prayed to the God of heaven. 5. And I said unto the king, If it please the king, and if your servant have found favor in your sight, that you would send me unto Judah, unto the CITY of my fathers' sepulchers, that I may BUILD IT (the CITY of JERUSALEM). 6. And the king said unto me, (the queen also sitting by him,) For how long shall your journey be? And when will you return? So it pleased the king to send me; and I set him a time. We have already taken a look at the year 457 BC to rebuild the HOUSE of God or the TEMPLE of God, and where Jesus the Messiah was CUT OFF or crucified in the MIDST of the week in 31 AD, but we will look at another possible year for the crucifixion of Jesus being the year 32 AD at the end of this study as well, in order to agree with the INTERPRETATION of other Christians concerning the SEVENTIETH week of Daniel. In other words, other Bible prophecy teachers DISAGREE with the starting date of 457 BC because that decree was to restore the TEMPLE and NOT the CITY like Daniel 9:24-27 plainly teaches. So these prophecy teachers use the year 445 BC as their starting date. So then, now let us take a look at the evidence used to try and support this SECOND date given here in the book of Nehemiah which some calculate to be 445 BC. Now again some prophecy teachers say NO to the FIRST date of 457 BC, because the verses in Daniel 9:24-27 says the decree to restore and rebuild the CITY of Jerusalem and NOT the decree to restore the TEMPLE or the HOUSE of God. So now we will look at the second date, which most all Bible scholars have established as being 445 BC that a decree was given to rebuild the CITY of Jerusalem. I say most all, because some have concluded the years 444 BC and 446 BC are also given as possible starting dates depending on what historical source one uses. We may get into their arguments further on in this study. Here is a quote from a prophecy teacher, who uses this date of 445 BC to calculate the day in which Jesus rode into Jerusalem on a donkey to be hailed as the King. Again any emphasis or comments are mine. Nehemiah went on to explain that he was sad because he had heard reports that the city of his people, Jerusalem, was still desolate. Nehemiah, requested that he be allowed to go back to Jerusalem and rebuild the CITY. 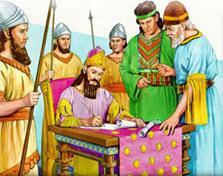 King Artaxerxes granted his wish on the spot and gave him official "letters" or documents for easy passage. This occurred, we are told in the month of Nisan, in the twentieth year of Artaxerxes Longimanus' reign. Artaxerxes Longimanus ascended to the throne of the Medo-Persian empire in July 465 B.C. (Encyclopedia Britannica, 1990 ed.). The TWENTIETH year of his REIGN would have BEGUN in July 446 B.C. The decree occurred approximately nine months later in the month of Nisan (March/April on our calendar). By Hebrew tradition when the day of the month is not specifically stated (as in Artaxerxes decree, it is given to be the first day of that month. Consequently, the very day of Artaxerxes' decree was the FIRST day of the Hebrew month Nisan in 445 B.C. The FIRST day of Nisan in 445 B.C. corresponds to the 14th day of March. These dates were confirmed through astronomical calculations at the British Royal Observatory and reported by Sir Robert Anderson (Robert Anderson, "The Coming Prince", Kregel. Reprinted in 1984.). The prophecy states that 69 weeks of years (173,880 days using the 360 day prophetic year) after the command goes forth to restore and rebuild the city of Jerusalem the Messiah will come. Some may argue the question of WHY the using of the 476 LUNAR prophetic years and opposed to using the 483 SOLAR years? Well one obvious answer to me that makes sense is that the LAST 3 ½ years according to the book of Revelation are given in the LUNAR prophetic years having 30 days per month or 360 days per prophetic year thus the 1260 days that coincides with the 42 months or 3 ½ years of 360 days per year. In other words, 360 days + 360 days + 360 day for the three full years equals 1080 days. Now add the ½ year of the remaining 180 days and you come up with 1260 days. So then, ACCORDING to some prophecy teachers they take 483 SOLAR years and multiply by 360 days in a LUNAR prophetic year this equals 173,880 total prophetic days. This I understand and agree is fine to do. But then, according to some of these prophetic teachers they say that all you need to do is to divide 173,880 by 365.25 days in a solar year, which equals 476.05749 years, which they then round off to be 476 SOLAR years. Here is where I thought to myself, wait a minute! Did they not just convert 483 SOLAR year INTO LUNAR years that numbered to 173,880 DAYS? Yes they did! Therefore the 173,880 LUNAR DAYS already is 483 SOLAR years. I mean THINK this through for yourself. If A=B, then obviously B will = A as well. Just read the equation backward. If A=B, then B=A. So then, if you convert 483 SOLAR YEARS to LUNAR YEARS, and you arrive at 173,880 lunar DAYS, then that 173,880 lunar days are EQUAL to 483 SOLAR years. In other words, it is a MAJOR ERROR to divide 173,880 days, which is ALREADY 483 SOLAR years, by 365.25 solar days to arrive at a SHORTER time period of SOLAR years, which is already EQUAL to the 173,880 lunar days. Can you not see that if you START with 483 SOLAR years and you CONVERT these solar years to LUNAR years that is NUMBERED in DAYS, then all you need to do is to DIVIDE the number of LUNAR days in one year BACK into 173,880 LUNAR years that was numbered in DAYS in order to convert BACK to the ORIGINAL SOLAR years you STARTED with, which is 483 SOLAR years. You see, 173,880 LUNAR divided by 360 DAYS in a LUNAR year equals 483 SOLAR years, which was CONVERTED to LUNAR years NUMBERED in DAYS by MULTIPLYING the number of DAYS in ONE LUNAR year, which is 360 days. So 483 solar years X 360 lunar days equals 173,880 lunar DAYS the number of LUNAR days already contained in the 483 SOLAR years. But then I saw their line of REASONING that the LUNAR years were SHORTER than the SOLAR years. So then, if you take 360 DAYS per LUNAR year and multiply the 360 DAYS by 476 LUNAR years, which is the number of years NEEDED to MAKE this particular decree work out, then you end of with 171,360 LUNAR days. Now divide 171,360 LUNAR days by 365.25 SOLAR days per year to CONVERT this 171,360 LUNAR days to SOLAR years and you end up with 469.15811 SOLAR years. BUT to ME at first this still seemed a little like total manipulation of numbers to try a FORCE the 445 BC decree to FIT as the correct date. My point is there is absolutely NO way to get 476 LUNAR years to EQUAL 483 SOLAR years, as in, being the SAME exact number of DAYS because a Lunar year is SHORTER than a Solar year in number of days. But that is the whole point they are making. A prophetic Biblical year is 360 days, which is SHORTER than our Solar year and this is WHY our Solar years needs to be converted to a Lunar prophetic Biblical year of 360 days. I found some other prophecy teachers that explained that you are to count the DAYS of the LUNAR years forward from Nissan 1 of the year 445 BC and you will arrive at the month of Nissan in the year 32 AD the year Jesus was crucified. So then if you take 69 weeks, which is 483 years and multiply 483 times 360 days in a Biblical prophetic year you get 173,880 days. And some say you arrive at the very day Jesus rode into Jerusalem on a donkey to be hailed as King of the Jews, which according to their calculations was on Palm Sunday Nissan 10 in 32 AD. Please read Zechariah 9:9 and Matthew 12:2. Zechariah 9:9 is a prophecy of Jesus saying behold the King coming riding on a donkey and in Matthew 21:5 we read where Jesus FULFILLS this prophecy. Then in the next few chapters of Matthew Jesus teaches several parables and the scribes and Pharisees try and trap Jesus in his words on this SAME day that Jew rode into Jerusalem on a donkey. Then in Matthew 26:2 we find that after two more days is the PASSOVER feast that is kept on Nissan 14 the day that Jesus was crucified. In other words, Jesus is crucified on the THIRD day just TWO days AFTER he rode into Jerusalem on a donkey symbolizing his anointing as the coming King. To say this another way according to their calculations Jesus rode into Jerusalem on Palm SUNDAY on Nissan 10. Then TWO days AFTER Sunday would be on a WEDNESDAY Nissan 13 the day of preparation, when Jesus was crucified and Nissan 14 would be THURSDAY the high Sabbath day of PASSOVER. Please consider their calculations Sunday Nissan 10, Monday Nissan 11, Tuesday Nissan 12, Wednesday Nissan 13, Thursday Nissan 14, Friday Nissan 15, Saturday Nissan 16, and Sunday Nisan 17th the day the Jesus was raised from the dead in 32 AD. Now I already saw quite easily how a LUNAR year is SHORTER than a SOLAR year by 5.25 days, so I did my own math and came up with the same figures. I did the math several different ways and came up with the same answer of 476.0575 LUNAR years. So then, when we subtract the starting date of 445 BC from 476.0575 lunar years this brings us to 31.0575 BC and then we add 1 year for crossing of year zero, which is not on the calendar, but still needs to be counted when arrive at 32 BC PLUS .0575 years. I know this may seem like a small fraction, but if you are going to stress the EXACT DAY that Jesus rode into Jerusalem on a donkey then you cannot just throws these EXTRA days to the side and say “CLOSE ENOUGH”. In other words, just rounding off 31.0575 to 31 AD is NOT calculating the EXACT day from Nissan 1 of 445 BC to the very day that Jesus was crucified. So again I began to think to myself that this is just a bunch of manipulation of numbers to try and MAKE this starting date of 445 BC to fit their particular agenda. Then I remembered the Hebrew calendar needing to ADD a month now and then to keep it in agreement with the SOLAR calendar, so I did some more digging and here is what I found. I thought to myself what is an “EMBOLISMAL” year? I had never heard this word before so I looked it up in the dictionary. The word “embolism” has two meanings; the first meaning is an obstruction in a blood vessel and the second meaning is an insertion of a period of time in a calendar year, an intercalation. The word “intercalation” means in insert a period of time into a calendar, a day, a month added to a calendar. For example we add 1 day into our calendar every four years called a LEAP year to keep the SOLAR year as close as possible to the cycle of the SUN. The adding of that 1 day every four years is called an intercalation. The Hebrew calendar is a lunisolar calendar, meaning that the MONTHS are based on LUNAR MONTHS, but the YEARS are based on SOLAR YEARS. So instead of ADDING an extra single DAY every four years like the solar calendar the Hebrew calendar adds an extra MONTH called a LEAP MONTH or an intercalary month every so many years and that year is called a LEAP year in the Hebrew calendar. So then, in leap years, such as 5774, which coincides to our year 2014, an additional month of 30 days called “Adar I” is added after Shevat the eleventh Hebrew month, while the regular month of Adar is referred to as “Adar II.” The month of Adar is the twelfth Hebrew month and the month of Abid sometimes written as Aviv, but was changed to be called Nissan is the FIRST month of the year, which occurs in the SPRING of the year and is set by the cycle of the MOON. The insertion of the leap month is therefore based on the requirement that PASSOVER be kept in the spring of the year according to the cycle of the MOON so that there is ALWAYS a FULL moon on the day of Nissan 14 the feast of PASSOVER. You see when the world decided to use a fixed calendar, then intercalations or the adding of a LEAP month in the Hebrew calendar needed to be assigned to fixed points in the cycle of the moon to stay as close as possible to the solar calendar. Now in ancient times before computers this intercalation of added days or an entire month was determined empirically, which is to determine by hands on observation and experience. Here is a quote from another website showing the old way of when months were to be added. So then, to determine if a lunar month needed to be added by hands on observation is something that cannot be DOGMATICALLY determined solely by a computer program using only the cycle of the moon. In other words, the ripeness of the harvest AND the equinox must be used to determine when this extra month was to be added. Thus the reason for why year 32 AD cannot be eliminated on based upon the sole reason that Nissan 14 did not fall on a Wednesday, a Thursday or a Friday according to a computer generated calendar as some have dogmatically demanded. With this new information I was impressed to dig even deeper and I found another website that had some charts where it can clearly be seen in simplicity that the year 32 AD is the only year that will allow for the insertion of and added LEAP month of Adar or Nissan in the spring of the year and still have the LUNAR cycle of the moon fit the PASSOVER day that year. So according to the charts and research of others I myself have reconsidered my own previous conclusions on the year that Jesus was crucified on 31 AD as being the best possible year to now allow 32 AD as a possible year. In fact in some respects I thought to myself how awesome it would be that if BOTH dates 457 BC AND 445 BC placed the crucifixion of Jesus in the year 32 AD? Seeing that this is the only year that allows for BOTH starting dates of the decree to rebuild the TEMPLE AND the decree to rebuild the CITY of Jerusalem to meet all the requirements of the seventy weeks of Daniel prophecy. So with this THOUGHT in my mind I started to look as see if my original date of the crucifixion could be moved from 31 AD to 32 AD and still yet have all the evidence agree? You see the crucifixion of Jesus in 31 AD that we previously discussed in the first part of this study in God's word and the study “WHAT YEAR WAS JESUS CRUCIFIED?” can easily be bumped to 32 AD by simply having the ministry of Jesus being a full 3 1/2 years as opposed to my earliest study where the ministry of Jesus was only 2 1/2 years. If you remember I said the BEST possible year for the ANOINTING of Jesus at his baptism was 28 AD and I only allowed this date to be moved to 27 AD to show you the POSSIBILITY of the 7th Day Adventist teaching on the SEVENTIETH week of Daniel. So the BIRTH of Jesus will remain the same on 3 BC using 28 AD as the year Jesus was baptized. But if 27 AD is used for the baptism of Jesus then Jesus would need to be born in 4 BC, which to me is not the BEST year, but none the less it is a POSSIBLE year. Let us get back to the year 32 AD being a possible year that Jesus was crucified. Here are the charts that clearly show that the month of ADAR extending far enough into the spring of the year to ADD the extra LEAP MONTH of ADAR ll in ONLY the year 32 AD. Here is another chart giving perhaps some more clarification. 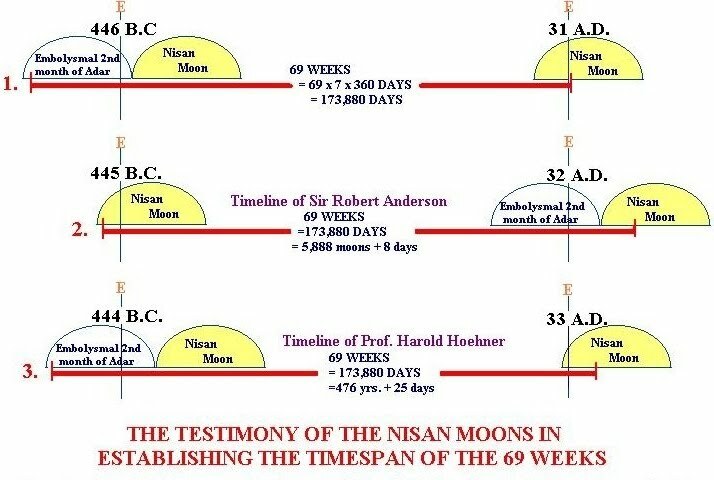 You can see that the year 32 AD is the ONLY year around the time that Jesus was crucified that allows the ADDING of the LEAP month of Adar ll so that the phase of the moon will allow for a PASSOVER to still yet be on the 14th day of the month of Nissan. In other words, the year 32 AD is the only year that will allow for the EXTRA days NEEDED to have the second date of 445 BC fit the Messiah being CUT off AFTER 62 weeks. And if you remember some count the starting date anywhere from 444 BC to 446 BC. For now I am still open to seeing the year 32 AD as a POSSIBLE year for Jesus to have been crucified, because in my research I found four or more DIFFERENT calculations as to what DAY of the week Nissan 14 fell upon in that ten year possible range of years of when Jesus could have been crucified. However, due to the fact that 32 AD does NOT allow for Jesus to have been cut off on a Wednesday, according to the calculations of others, I am still open to Jesus being crucified in 31 AD for now, but 32 AD seems to have greater evidence as the year Jesus was crucified. So in conclusion I myself find the starting date of 457 BC as showing when Jesus was ANOINTED at his baptism, which agrees with the year 32 AD as his crucifixion. And I find that the starting date of 444 BC date, as a date that meets all the criteria of the prophecy of Daniel's SEVENTIETH WEEK or Jesus being anointed as King when he rode in on the donkey AFTER the 69 weeks on the FIRST day of the seventieth week and was crucified on the THIRD day of the seventieth week of Daniel. According to the research of others like Josh McDowell is his book "The New Evidence that Demand a Verdict" he quotes a well know Bible scholar and prophecy teacher J. D. Wilson who gives his reasons why 444 BC is used as opposed to 445 BC. Many scholars use the March 5 date, but not all use the 444 BC year. Some use 445 BC as the twentieth year of Artaxerxes." And according to another source this date of 444 BC is confirmed. You can do your own research. The dates for Artaxerxes' reign are well documented in the ancient sources. These sources include the Greek historians, Ptolemy's Canon, the Babylonian business tablets, and the Elephantine papyri from Egypt. From these documents we know that Xerxes was killed in late December of 465 B.C., and the reign of Artaxerxes began at that time. The decree to restore and build Jerusalem was issued in the seventh year of Artaxerxes' reign (Ezra 7:7, 8). Thus the TWENTIETH year would be from the fall of 445 BC to the fall of 444 BC. And when we apply the first day of Nissan we arrive at the SPRING of 444 BC being time that the decree went forth to restore the CITY of Jerusalem. Again I believe that the FIRST 3 ½ years have already been fulfilled by Jesus himself CONFIRMING the covenant being the OBLATE of the one sacrifice for the sins of the people on the third day of the seventieth week. Remember the word "oblate" means one who offers himself to God. So Jesus was the OBLATION and SACRIFICE which was CAUSED to cease for the Jews as a nation during the time of the Gentiles. And this is why I believe that the CHURCH fulfilled the first HALF or the first 3 1/2 years of the seventieth week of Daniel by the preaching of the gospel to the JEWS ONLY for 3 1/2 years and when THEY rejected the gospel as a nation or as a whole in general by starting to kill the disciples of Jesus, then God CAUSE BLINDNESS in part to Israel so that they word not come to the knowledge of the truth of the oblation and sacrifice of Jesus being their Messiah. Their blindness will FULLY end at the second coming of Jesus, but I believe that during the last half of the seventieth week of Daniel many Jews will come to Jesus just like during the FIRST half of the seventieth week of Daniel during the first 3 1/2 years of the church. And I believe that the REST of God's word in the NEW Testament particularly in the book of Revelation clearly shows us ONLY a 3 ½ year period of great tribulation and NOT a full seven year time of tribulation. Please remember the words of Jesus in Matthew 24:29-31. This is the RAPTURE of the CHURCH taking place AT the SECOND coming of Jesus IMMEDIATELY AFTER the 3 ½ years of great tribulation and right BEFORE the WRATH of Almighty God that is going to be poured out by Jesus the SON of the living God AT his SECOND coming. In other words, BOTH events, the RAPTURE of the Church AND the WRATH of God being poured out happen AT the ONE and ONLY SECOND coming of Jesus. The RAPTURE takes place FIRST IMMEDIATELY AFTER the 3 ½ year period of great tribulation during the BEGINNING of the SIGNS or shortly after the SIGNS in the SUN, MOON, and STARS that usher in the SECOND coming of Jesus. Then after we are CAUGHT UP in the chariots of God to be SAFE we will be taken to MEET Jesus in the AIR, or the sky over Armageddon, where the WRATH of God will be poured out on those making WAR with Israel. Now while I am seeing that the ISLAMIC MUSLIMS, radical or otherwise, who will be making WAR with Israel and killing the Christians and the Jews the ONLY TWO witnesses that stand for the ONE TRUE God in all the earth, I ALSO see that there may be a possibility of other NATIONS like China and Russia, who may JOIN in to wipe Israel off the face of the earth. So in conclusion I am seeing that ONLY those nations who side WITH Israel that will be spared from the WRATH of Almighty God at the SECOND coming of Jesus. Are YOU a true born again Christian, who is READY for the coming of Jesus? Are YOU prepared for the days ahead? First and foremost make absolutely sure that you are indeed saved. And I implore you dear child of God do NOT under ANY circumstance deny that Jesus is the SON OF Almighty God who died for YOUR sin in order to become a MUSLIM to save your mortal physical life. For with FLATTERY the antichrist system will deceive many. But Jesus WARNED us NOT to fear those than ca destroy only the body, but rather we are to fear and reverence Almighty God who is able to destroy BOTH the body and the SOUL on judgment day in the lake of fire. Jesus is the ONLY way to ETERNAL LIFE in the world to come. Islam is a LIE and a doctrine of the devil. Muslims do NOT inherit eternal life in the world to come, because they DENT that Jesus is the SON of Almighty God. Muslims DENY that Jesus died on the cross for their sins. Muslims DENY that Jesus IS the MESSIAH. The Jews deny that Jesus is the Messiah NOW, but on that DAY when Jesus comes again a remnant of Jews will repent and call upon Yashua as being the MESSIAH. The Christians and the Jews are the only TWO witnesses of the one true God. Below I have some dates given to me by one of my readers. Now while I agree that it is not wise to SET dates for the second coming of Jesus, I do believe that as the time draws closer that we are living in that time who are WATCHING will perhaps know the time of our Lord's return. From what I have studied the SEASON of our Lord's return appears to be in the FALL of the year, but WHAT year? No one knows for sure, but below are some interesting points! "In the Bible book of Daniel chapter 12 verses 10 through 13 speaks of the disgusting ( the dome of the rock) thing that causes desolation standing in the Holy place (Jerusalem). This disgusting thing stands for a total of 1335 days. When in the form of a punishment in the bible the days are turned into years (the Israelites complained for 40 days in the wilderness so God made them spend 40 years as punishment). If you research the year the dome of the rock was built you will see it is 689 AD. If you add the 1335 days (years) to it you get the year 2024 AD. If you take the 1290 days (years) and add it to the year 689 AD you get the year 1979. This is the year Iran took the American hostages and that put Islam on the map as a force to be reckoned with and the false prophet awoke. If you research the year Adam was created you will find it is the year 4026 BC. He named the animals and then God created Eve in 4024 BC. Then the Bible says God's day of rest began in 4024 AD. If you add 6000 years to this year you get the year 2024 AD." "The Scriptures state that one day to God is a 1000 years to man. When Jesus told the Jewish religious leaders 'tear down this temple and I will rebuild it in three days' He was speaking of Himself and not the actual temple. Jesus was born in 02 BC and began His ministry in 27 AD. Now since Jesus was in Heaven for billions of years He was most probably speaking of the 1000 years as a day. I say this because if you take the year He began His ministry 27 AD and add the 1000 years days to it (2 days, almost 2000 years) so far you get the 3rd day beginning 2027 the year Armageddon ends and Christ Jesus reigns for the final and third day until He returns the keys to the Kingdom back to our Heavenly Farther."